Book Now- Available for Just 3 Weeks! Join us in the Sunstone Estate Vineyard this Harvest season to enjoy a rustic, outdoor experience centered around 6 of our Estate wines. 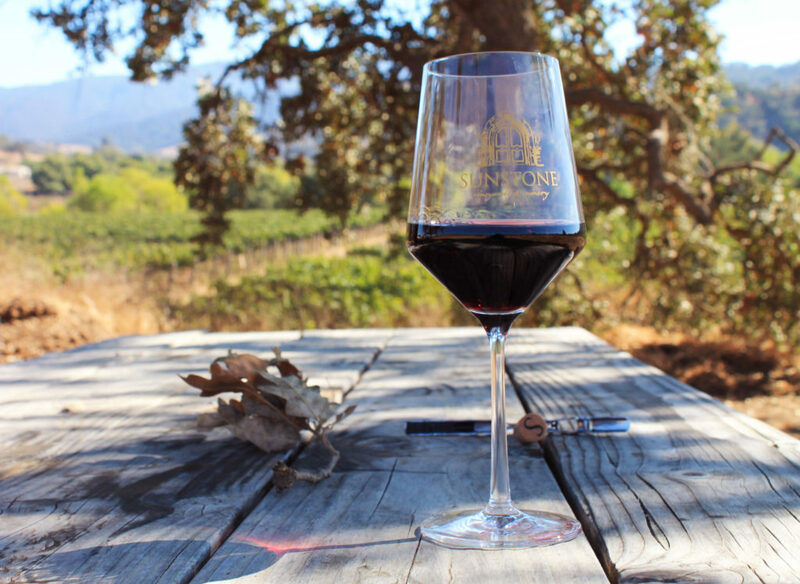 Learn about the art and science of grape growing and winemaking while walking through our vineyard and taking in the breathtaking views of the surrounding mountains and the world-famous Sunstone Villa. Enjoy the beautiful Fall scenery as you indulge in an intimate, seated tasting under the shade of the massive oak tree in the center of the vineyard. Throughout the experience, your knowledgeable host will detail the history of the Sunstone Estate and what makes our wines so special. This limited-time experience will be available for three weeks only. See below for available days/times and to make a reservation. This experience is limited to 8 Guests and lasts approximately 90 minutes. Prior reservation is required. Expect some light uphill walking. Flat, closed-toe shoes are highly recommended.